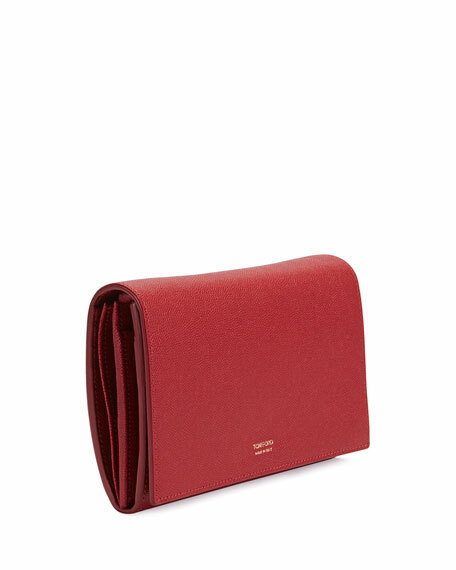 TOM FORD grained calfskin wallet-on-strap. Interior, center zip compartment; four slip and 20 card slots. 4.9"H x 7.5"W x 1.6"D.
For in-store inquiries, use sku #2077684.